What is a superhero? Is it someone with a lot of money who makes costumes and weapons for himself? Is it someone living a normal life who then has powers mysteriously thrust upon him? Is it a god or creature from another world? Is it someone who has a near-death experience and is given superhuman qualities in order to save their life? A number of different qualities can factor into the origin story of a superhero, something that I wanted to expand my knowledge base and learn more about. My first stop: Cyborg. 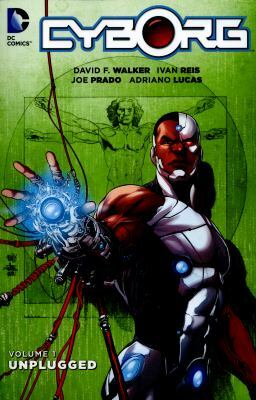 Cyborg, Volume 1: Unplugged introduces readers to the life of Victor Stone. Victor has lived through a large number of near-death experiences, something that his scientist father has seemingly used to his own advantage by saving Victor’s life and implanting cybernetics into his body. As a result of having these cybernetic enhancements thrust upon him, Victor has become a cyber-enhanced superhero called Cyborg, a mantle that rests heavily on his shoulders. After traveling the universe and visiting other worlds to fight with other superheroes, his most recent brush with death, one that has changed and messed with his cybernetics, Victor soon finds himself heading back to his father’s laboratory looking for answers. Victor and his father, as well as the other scientists in his lab, have a strained relationship, to put it nicely. His father only seems to see Victor’s enhancements, ignoring the man underneath. Exploring the newest changes to Victor’s cybernetics shows that his powers are changing and no one has the slightest clue why. Victor’s new tech seems to be communicating with other worlds, specifically with a group called the Technosapiens. This group wants to possess Victor’s new technology and they are determined to do so by any means necessary. As is par for the course of any superhero graphic novel, Victor finds help in the most unlikely of places: the Tekbreakers, a group of warriors from another world who have a plan to fight the Technosapiens. Victor just has to decide if he can truly trust them, considering they did try to kill him earlier… This graphic novel is a fantastic addition to the DC line and gives readers just enough back story to be able to follow along, while also drawing them in with vivid artwork and connections to other main DC storylines. Check it out! Have Darwin’s birthday celebrations piqued your interest in natural selection and evolution? 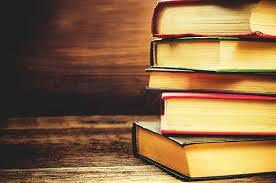 One painless way to learn about a complex subject is to explore it through fiction. 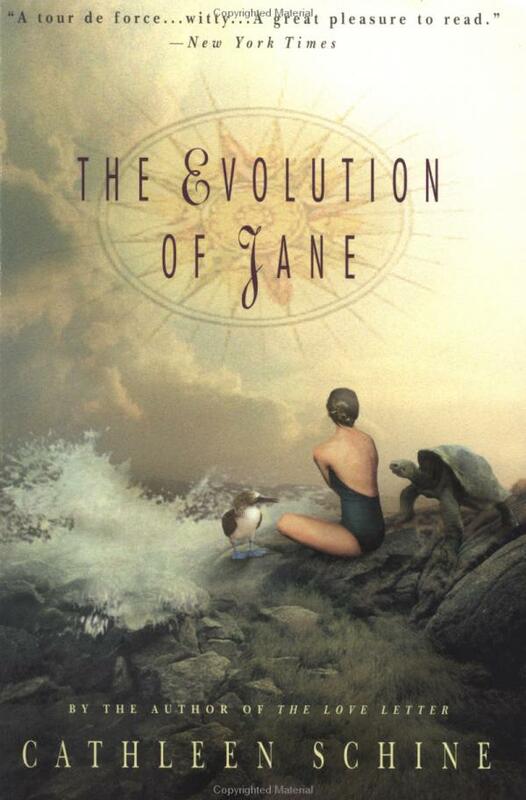 A funny, easy-to-read example is The Evolution of Jane by Cathleen Schine. 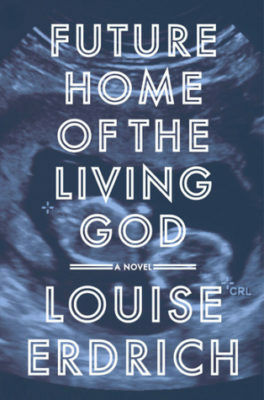 While on an ecological tour of the Galapagos Islands, Jane begins to apply Darwin’s principles to her own relationships – in particular, the unexplained break with her childhood friend, who(coincidentally!) is leading the tour. How does one simplify the subject of evolution? One solution — read some children’s books on the subject. Well, at least that’s what I did. After quickly purveying Darwin’s original On the Origin of the Species, it was pretty obvious that I wouldn’t be finishing it anytime soon, so I did the next best thing. I checked out what we had in the juvenile section, and lo and behold, I could actually understand them! I also garnered some fascinating tidbits about this legendary scientist. For instance, did you know that Darwin . . .
spent eight years just studying barnacles? preferred the term “transmutation through natural selection” over “evolution”? suffered from stage fright so severe he couldn’t publicly defend his ideas?